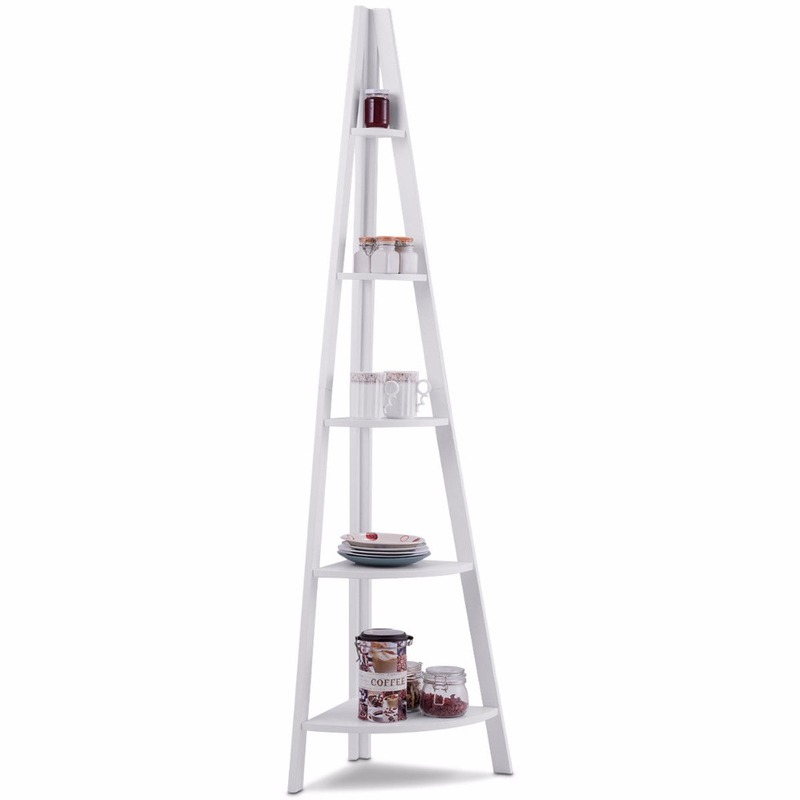 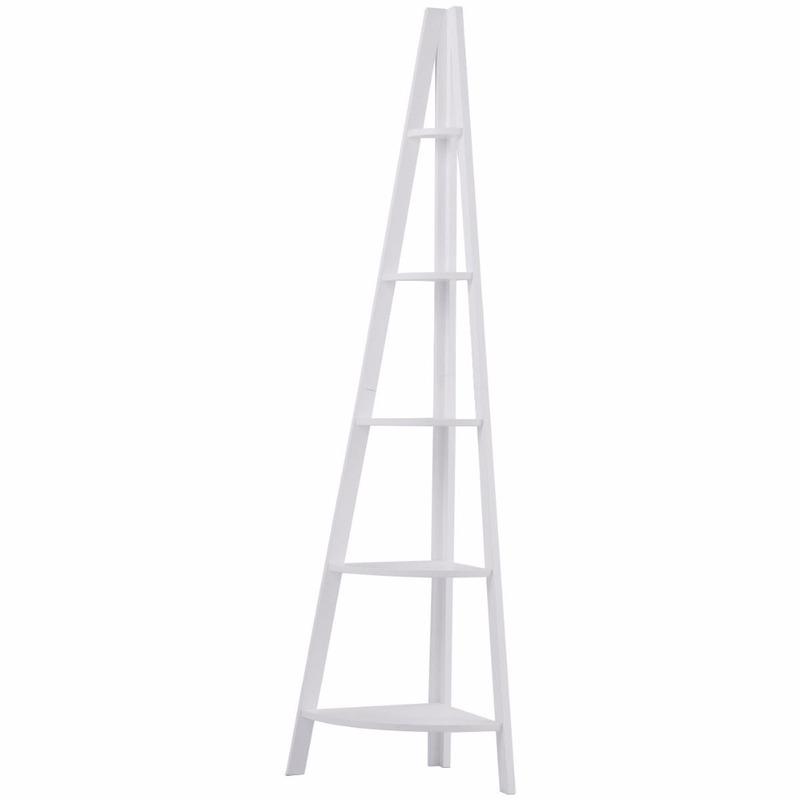 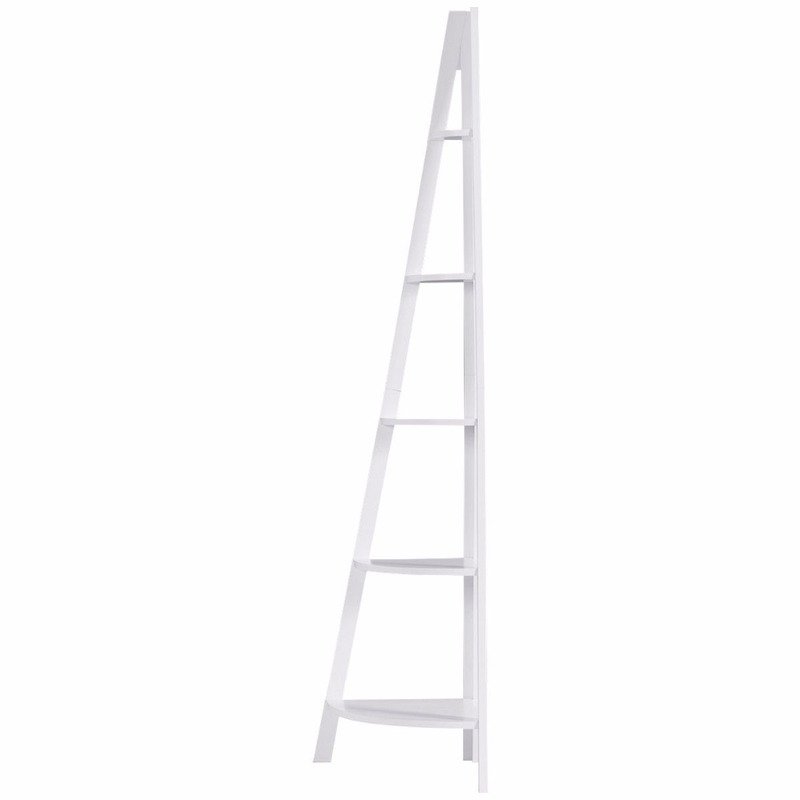 Constructed with sturdy MDF board, designed into an A-shaped frame, strengthened by solid screws, our corner ladder shelf is made into stable and durable furniture. 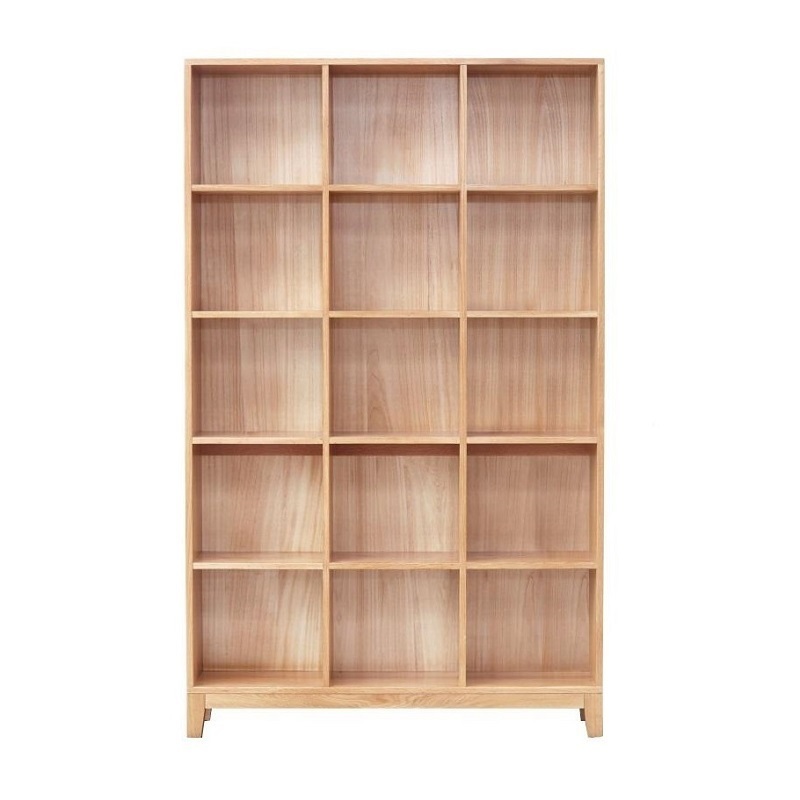 And every shelf has a right-angle design for this furniture to fit wall corner of any rooms better. 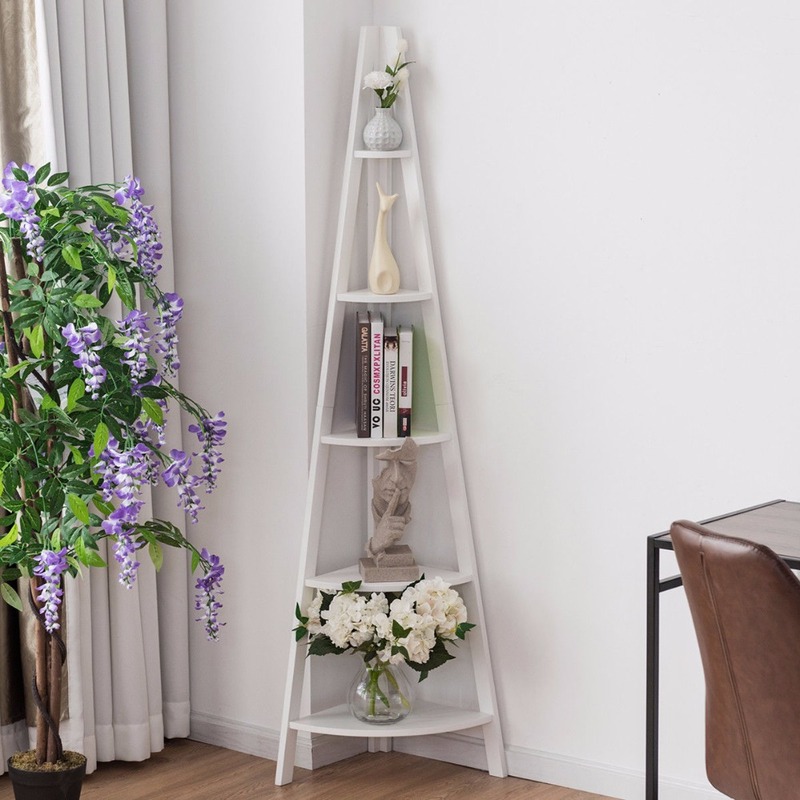 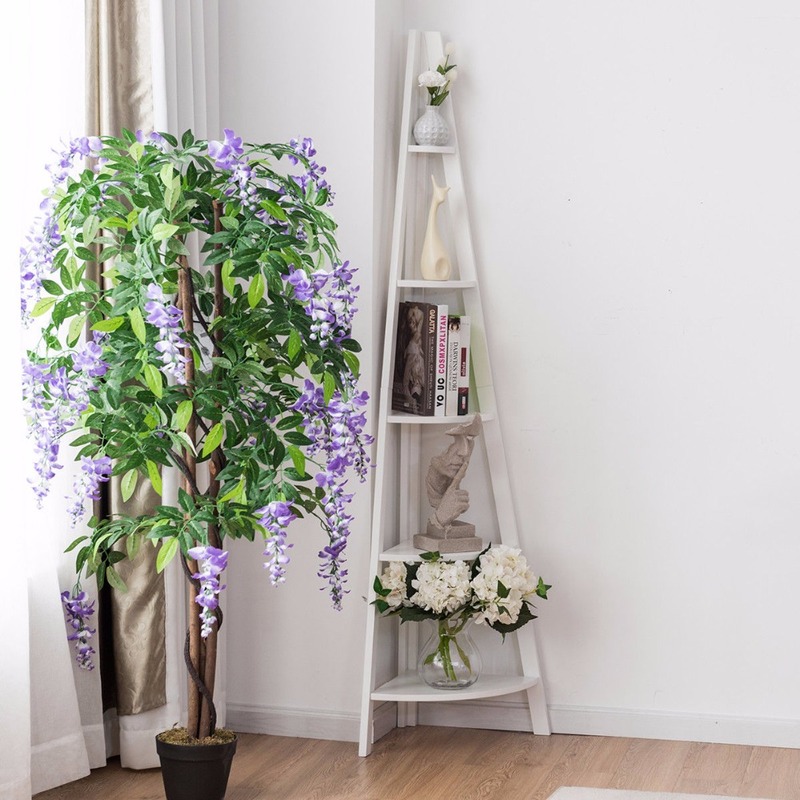 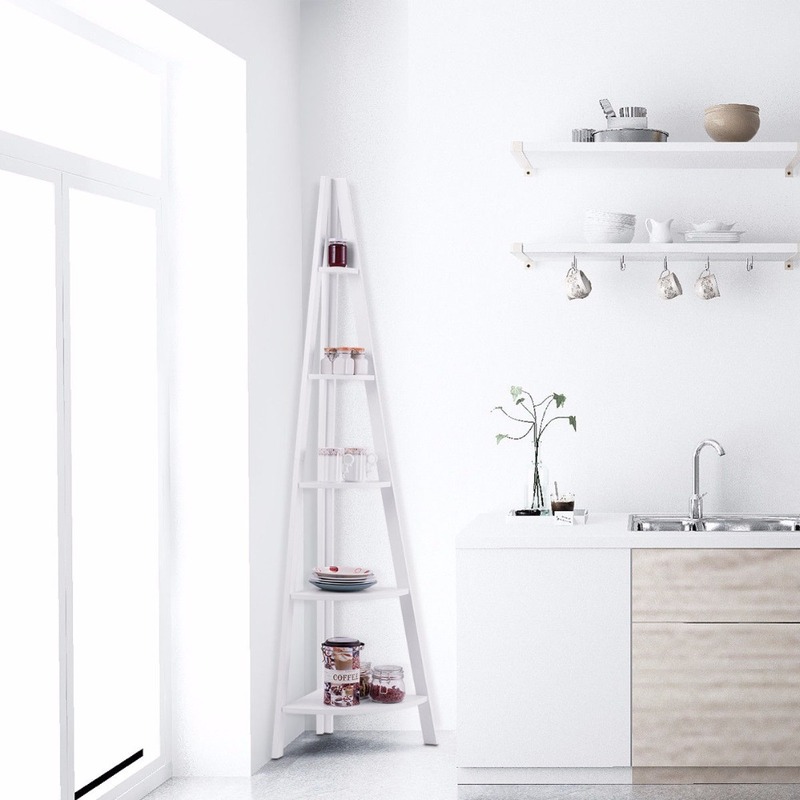 From top to bottom, shelf’s size is from smallest to largest, which means you can put objects of different sizes like cups, toys, books, or flowerpots. 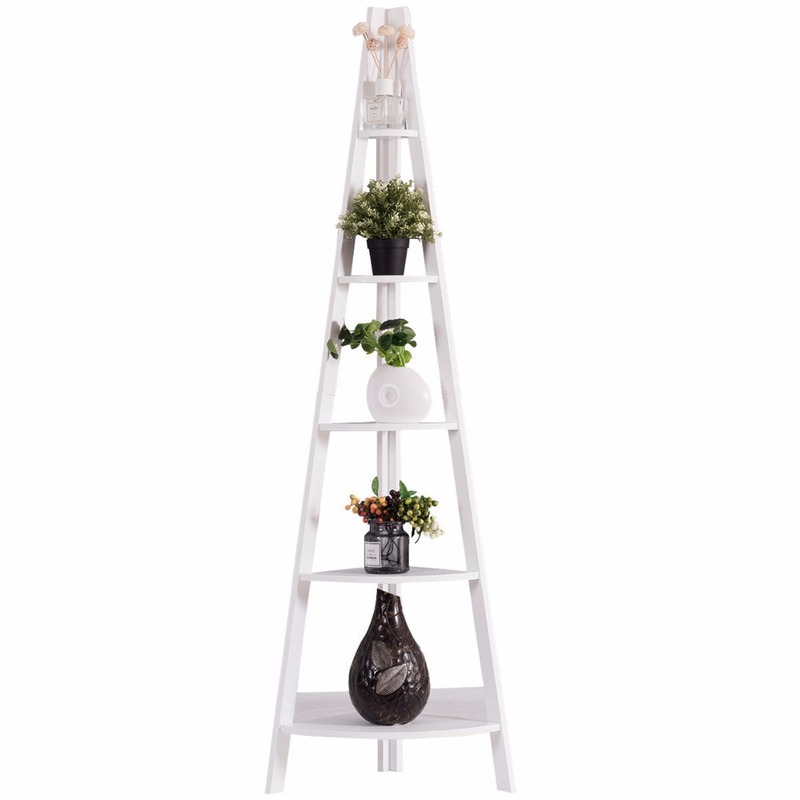 It is sophisticated and stylish, matches well with other furniture in home, office or balcony. 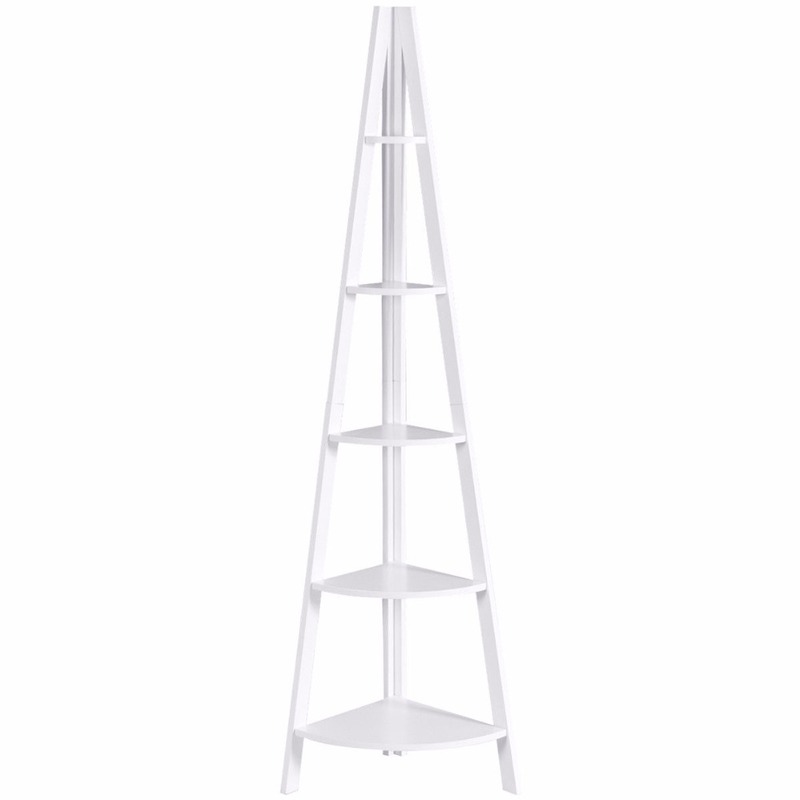 Each shelf is various in sizes, starting small top and expanding larger to bottom. 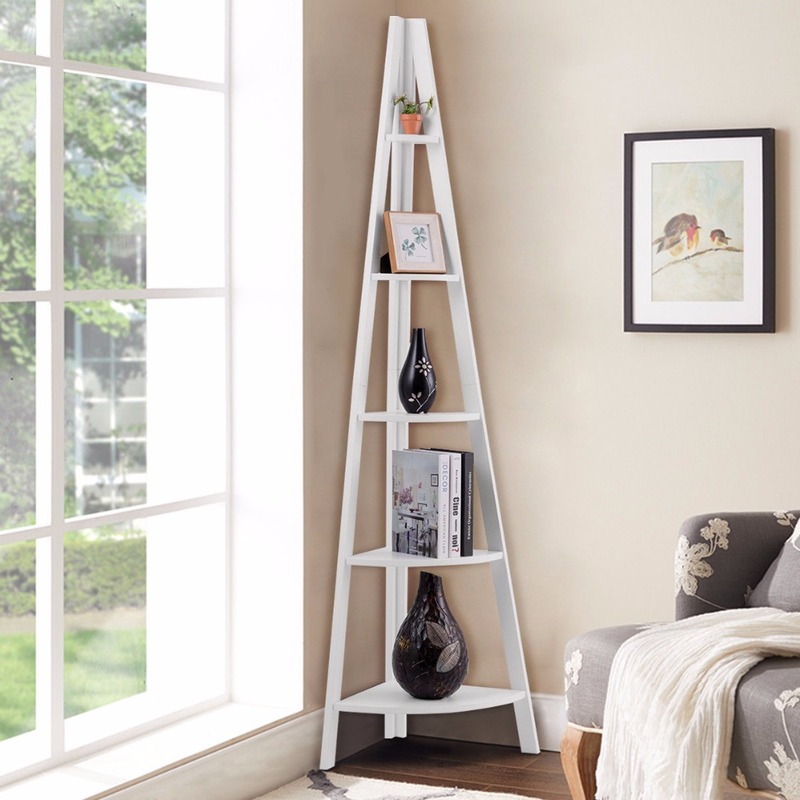 A Frame is designed to fit corners, allowing you to decorate a small space. 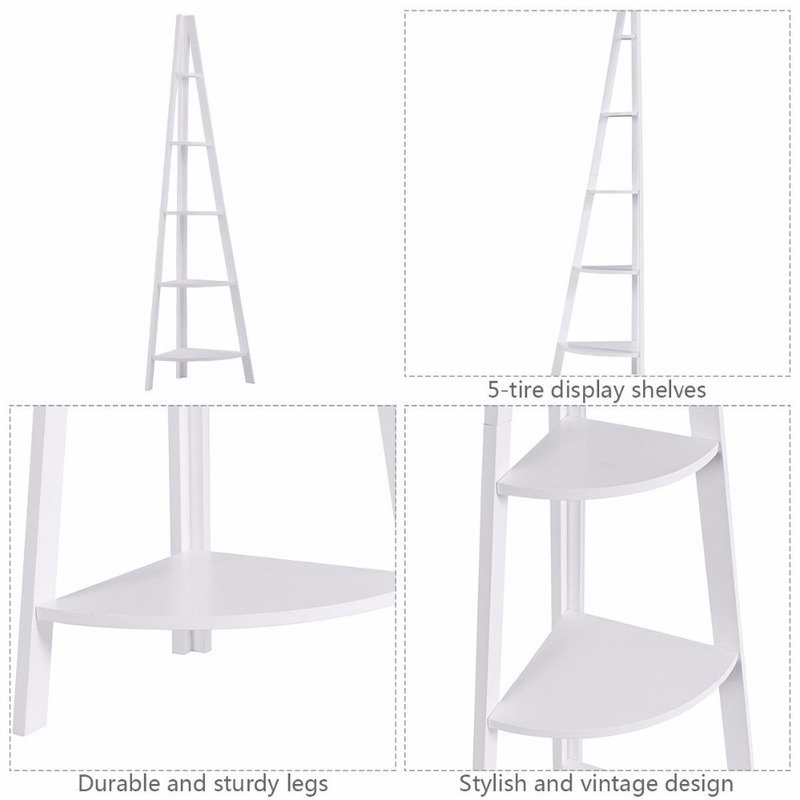 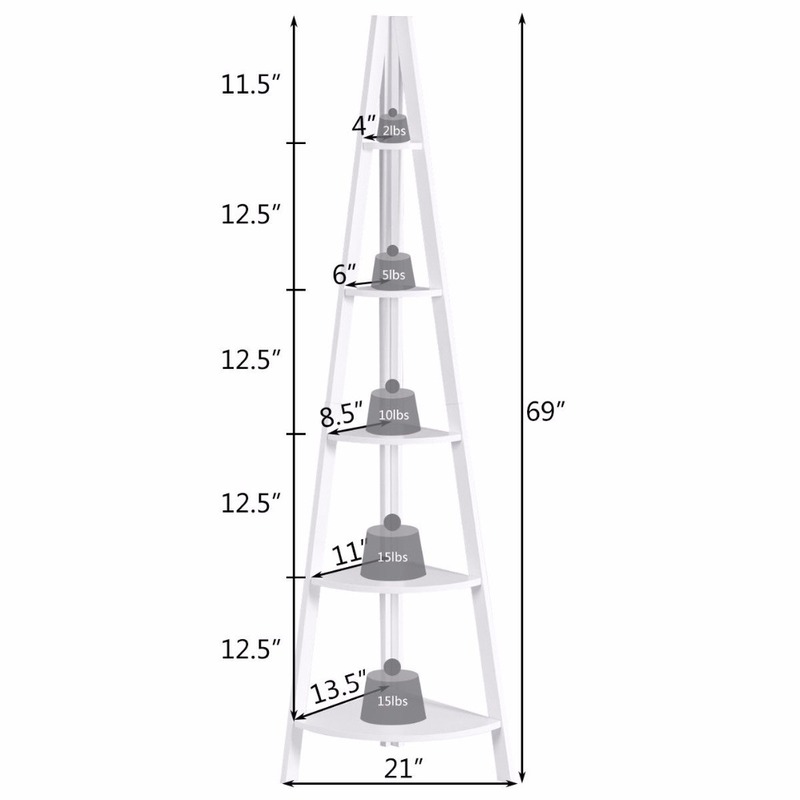 Stable three-legged structure can stand stably on uneven surfaces and fits well to the wall.